For some reason, I never seem to have enough birthday cards, and especially not enough masculine birthday cards. This simple card will fit that bill perfectly! For this card I used somed Well Worn Designer Series Paper with some Very Vanilla and Early Espresso card stock. 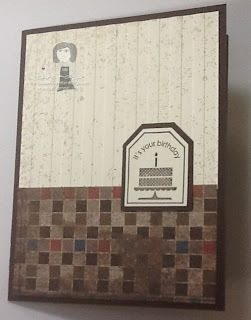 I also used the Wonderfully Worn Background Stamp; the Large Tag and Extra Large Tag Punches and the Stripes Embossing Folder for the Big Shot. I also used the Happiest Birthday Wishes, which is a hostess stamp set that can purchase when you hostess a workshop. 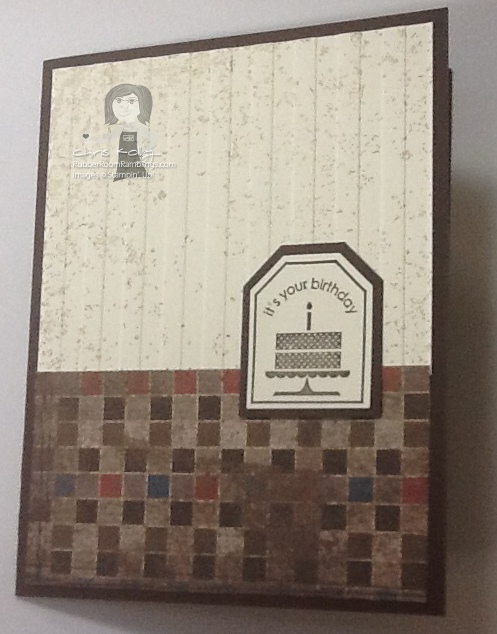 ORDER YOUR STAMPIN' UP! SUPPLIES HERE!